Well, that’s what the headline said anyway. 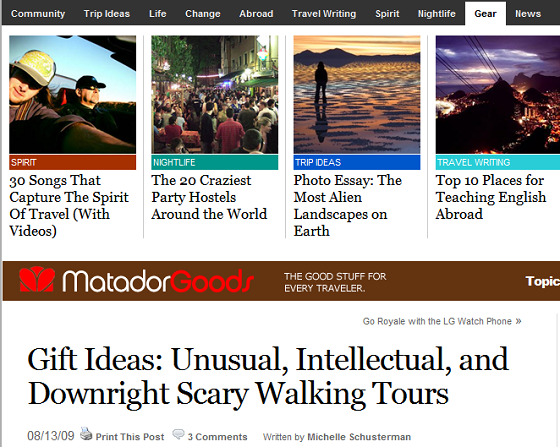 Check out the article, “Gift Ideas: Unusual, Intellectual, and Downright Scary Walking Tou‏rs” on Matador Goods. Cool website as well for you travelers. This entry was posted in Announcements and tagged article, gifts, matador goods, Seattle, shutter tours, travel. Bookmark the permalink.